Due out on August 10. 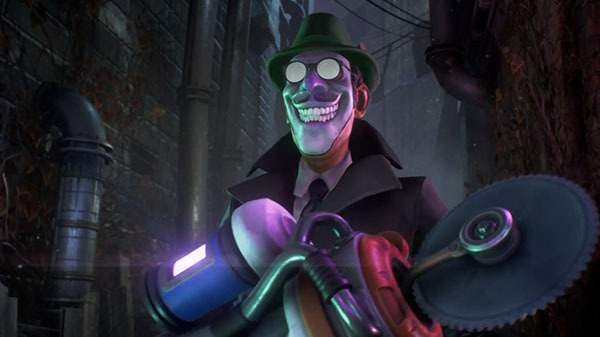 Compulsion Games has released the launch trailer for We Happy Few, and several outlets have posted new gameplay videos alongside their final reviews (roundup available at OpenCritic). Take Your Joy… or Don’t. The Choice is Yours. We Happy Few is the tale of a plucky bunch of moderately terrible people trying to escape from a lifetime of cheerful denial in the city of Wellington Wells. In this alternative 1960s England, conformity is key. You’ll have to fight or blend in with the drug-addled inhabitants, most of whom don’t take kindly to people who won’t abide by their not-so-normal rules. Discover the retrofuturistic city’s dark history as you play through the intertwined narratives of three quietly rebellious citizens of Wellington Wells, each with their own strengths and weaknesses, as they face their pasts, prepare for the future, and engage in activities that aren’t exactly status quo in the artificially enthused society. Set in retrofuturistic 1960s England, you will find a city ravaged by war and rebuilt by delusionally happy people. Everything appears to be joyful in Wellington Wells, including the roads, the people, and its omnipresent television personality, Uncle Jack! However, it’s a big, idyllic world on the brink of collapse. You will discover the history of this world, and how it came to be just so beguilingly happy. In We Happy Few, no two playthroughs are alike. While the citizens of Wellington Wells will always want to ensure that you’ve taken your Joy, the procedurally generated world will ensure that your experience with We Happy Few is different and unique. We Happy Few is due out for PlayStation 4, Xbox One, and PC on August 10.